School is out and summer is in full swing at Lake Tahoe. Visitors and residents are heading to beaches and launching boats, kayaks, and stand-up paddleboards to get out and enjoy the jewel of the Sierra. Millions of people visit Tahoe each year, and the shoreline is where they go to experience its famously cold, clear, blue water. Tahoe’s shoreline has been a thorny area for planning in the past, riddled by disagreements and litigation. It is an important planning area, however, one that sees the intersection of challenges associated with recreation access and protection of the environment and scenic natural beauty. When the Tahoe Regional Planning Agency updated the Regional Plan for the basin in 2012, we focused on our town centers. One area long unaddressed is the shoreline. Now, we’re taking on this challenge with a new approach. A collaborative planning process is underway linking together the Tahoe Regional Planning Agency and more than a dozen public, private, and nonprofit partners. We are working together to create a new Shoreline Plan for Lake Tahoe. We reached a milestone in that process this July, releasing draft policy proposals and announcing the start of a draft environmental review for the plan. We have much more work to do, and this planning process is far from over. But the draft policy proposals recommended by our shoreline steering committee are a sign that our collaborative and inclusive approach is working this time around. The shoreline steering committee represents a broad array of stakeholders, including League to Save Lake Tahoe, Tahoe Lakefront Owners’ Association, Lake Tahoe Marina Association, Lahontan Regional Water Quality Control Board, California State Lands Commission, Nevada Division of State Lands, and the Tahoe Regional Planning Agency. For the past year, we’ve been working to engage the public and navigate through some very difficult planning issues to come up with broadly supported shoreline policies that can enhance recreation access, improve the environment, and protect the scenic beauty of Lake Tahoe’s shoreline. This has been a difficult balancing act for many different interests at Lake Tahoe. But it also represents a major opportunity to find areas of agreement and compromise, and build partnerships that benefit the health of Lake Tahoe and our communities. Draft policy proposals released this July would authorize a limited number of new piers, taking an approach that meters out development by defined areas around the lake and scenic sensitivity. Applications for piers that serve multiple property owners or retire future development potential would be prioritized. 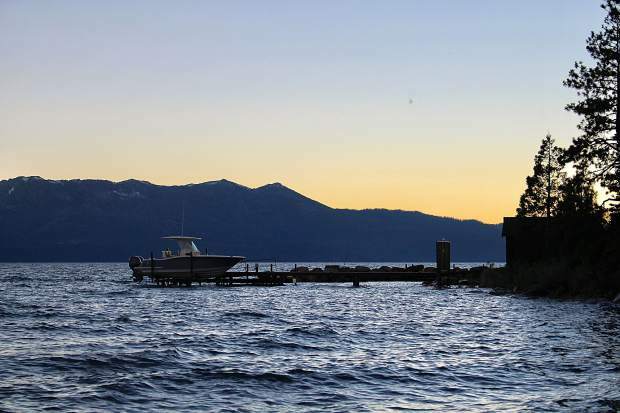 The proposals would also authorize lakefront properties and homeowner associations to apply for new buoys; authorize two new public boat ramps; and encourage public access at Lake Tahoe’s 14 marinas, which could more easily upgrade their facilities after they have a certified “clean marina” program, an aquatic invasive species management plan, or bundle other environmental improvements into their project design. We are working together diligently to balance the need for enhanced recreation access for both motorized and non-motorized watercraft with the need for environmental improvements, and the need for protections for the world-renowned beauty of Lake Tahoe’s scenic shoreline. We are also working to create a system of shoreline structures and access that can function during low lake levels with minimal disruption. Five years of drought left many piers and boat ramps high and dry at Lake Tahoe, and some marinas unable to function. We are now asking people to review these preliminary shoreline proposals, weigh in with ideas and questions, and submit comments to help frame the scope for an environmental analysis of the Shoreline Plan and various alternatives that will be prepared and finalized over the next year. People can do all those things by visiting the website http://www.ShorelinePlan.org. And if your community group or homeowner association would like an in-person update on this shoreline planning initiative, more information about policy proposals or how to get involved, just email the planners identified as points of contact on http://www.ShorelinePlan.org. While our shoreline steering committee and the public have reached a major milestone in this planning initiative this July, we have much more to do. By continuing to collaborate and work together and bring our best ideas to the table in a spirit of partnership, we can and will develop a Shoreline Plan that improves the environment, protects the beautiful scenery of Lake Tahoe, and lets all lake enthusiasts enjoy this national treasure we all cherish. Joanne S. Marchetta is executive director of the Tahoe Regional Planning Agency. Darcie Goodman Collins is the executive director of the League to Save Lake Tahoe. 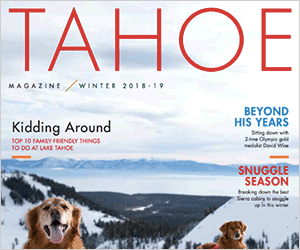 Jan Brisco is the executive director of the Tahoe Lakefront Owners’ Association.